This Recommended Method is applicable to the determination of selected phenolic compounds (hydroquinone, resorcinol, catechol, phenol, p-cresol, m-cresol, and o-cresol) in the Total Particulate Matter (TPM) of mainstream cigarette smoke by RP HPLC-FLD. The described method is specified using ISO 3308 and Health Canada T-115 smoking parameters. 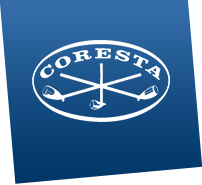 The use of these machine smoking parameters reflects their inclusion in the reporting requirements of various national regulations rather than an endorsement of their appropriateness by CORESTA.